SimCity is legendary as far as PC gaming goes, but SimCity 4, the current edition, is a little long in the tooth--it first came out nine years ago. Yikes. But Maxis and EA plan to revive the dormant franchise with a brand new version. At a press event at this year's GDC in San Francisco, Maxis and EA announced that it will release a new edition of SimCity for PC sometime in 2013, according to Joystiq. We don't know much else about it at this point, including whether it'll be called SimCity 5 or go by a different name. But we do know that, as Joystiq notes, it'll run atop EA's upcoming GlassBox game engine. Curvy roads: In SimCity 4, you can only build roads that go in a straight line--unless you install something like the Network Add-on Mod, which provides lots of new transportation options. Joystiq says that this is coming to the new version, so it looks like I might get my wish on this one. Wider selection of buildings: A common occurrence in SimCity 4 is that you'll often end up with several instances of the same building popping up in close proximity to each other. Again, you can add more via SimCity 4's add-on support, but I would love to see Maxis bundle some additional structures--and maybe some additional architectural styles--in the next incarnation of the game. 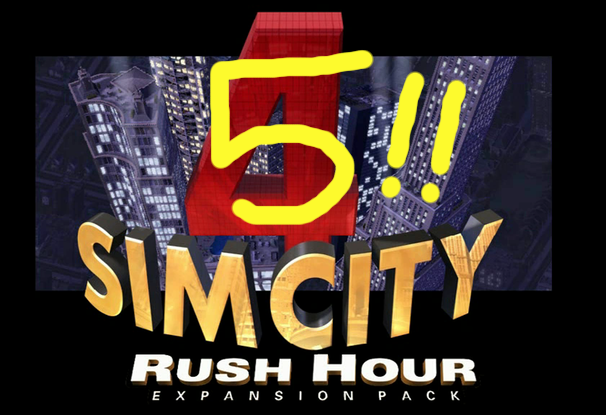 A "Simple Mode" for beginners: SimCity 4 is a complex game. Unless you invoke a cheat code, you can't just build; you have to worry about pesky details like providing your city with electricity, water, and sanitation. While this is great for SimCity wonks like me, it's probably more than a little intimidating to a SimCity rookie who just wants to build. A stable Mac version, please: I mainly use Macs at home. While there's a Mac version of SimCity 4, if you own an Intel-based Mac, you have to rely on a five-year-old beta patch to play the game (the retail box version does not run on Intel-based Macs, only the older PowerPC-based ones). And it's ridiculously buggy. We don't yet know if EA and Maxis count Mac OS X under the umbrella of "PC," or if this new edition will be Windows-only to start, but here's hoping they hear the cry of Mac gamers, too. We still have a bit of a wait on the new SimCity, but in the meantime, feel free to share your SimCity wish list in the comments.